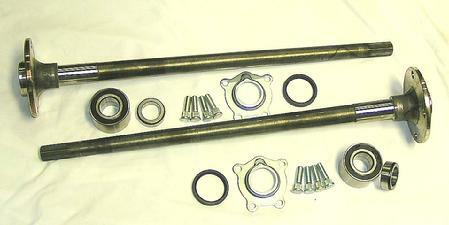 We have changed our axle kits for the AE86. The axle shafts are now 28mm for both the spool kit and LSD kit. The axles are now 4340 chromoly for added strength over past versions of these kits. We have had many customers who went well beyond our recomended HP rating for these kits and decided it was time to use an even stronger alloy for the shafts. The spool has also been changed from our original 30mm version to the new 28mm version. We made this change only to simplify production of the kits. The same axle can now be used in both LSD and spool versions. We have updated some of the pictures and will update the rest as soon as possible. Another first brought to you by Weir Performance. 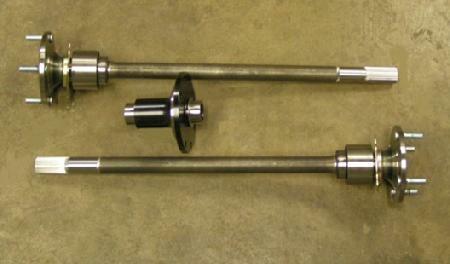 We often get asked by customers for a stronger axle shaft for the Corolla AE86 GTS. We decided to answer the call with our new “SC/TURBO” axle & spool kit. Designed to handle the added power of a super charger or turbo, these axles are 28mm dia. at the spline compared to a kouki axle, which is 25mm. The axle shafts are forged from 4340 chromoly steel CNC machined then induction hardened to our specs. The SC/TURBO axles in combination with our special heavy-duty spool can easily handle up to 350HP! The best part, NO HOUSING MODS REQUIRED and accepts factory brakes! The axles come with new Koyo bearings, new axle retainers, wheel studs and axle seals. The spool will need to be installed into your third member, then simply replace your O.E.M. shafts with our SC/TURBO axles and re-install your brakes. Keep in mind, this kit is designed for serious competition use only and is not intended for daily drivers! Our new “SC/TURBO” axle & Kaaz/ Tomei side gear kit for the corolla AE86 GTS. Designed to handle the added power of a super charger or turbo, these axles are 28mm dia. at the spline compared to a kouki axle, which is 25mm. The SC/TURBO axles in combination with our modified Kaaz LSD can easily handle over 300HP! The best part, NO HOUSING MODS REQUIRED and accepts factory brakes! The axle kit includes new Koyo bearings, new axle retainers,wheel studs and axle seals plus our all new chromoly side gear kit to fit Kaaz or Tomei LSD units. *NOTE* 2007 and earlier Kaaz or Tomei LSD units will need the pressure rings machined to fit our new side gear kit. Install the LSD into your third member, then simply replace your O.E.M. shafts with our SC/TURBO axles and re-install your brakes. We can supply a new Kaaz LSD unit to suit or we can also modify your existing LSD to accept our SC/TURBO axle shafts! We can modify the following LSD's : TRD, Cusco, Carbonetics. *NOTE* we cannot modify the O.E.M. LSD unit. We can also supply this kit with Kaaz LSD units at an additional charge. 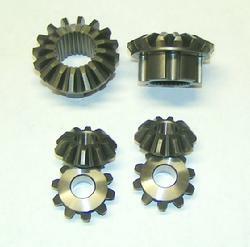 You supply your TRD, Cusco, Carbonetics side gears. We modify the side gears to fit our 28mm shafts. * OEM Toyota LSD is not compatible to this mod. Drop forged 4340 steel replacement axle shafts for the 7.5” rigid axle supra rear. Stronger than O.E.M.! You will not find these anywhere else! Bare fits right or left. $265.17 ea. Complete 7.5� rear with your choice of new gear ratios, 4.10, 4.56, 4.88, 5.29, 5.71. MAXGRIP Rebuilt MkII supra LSD, new Weir Performance axle shafts, accepts factory GTS brakes. Assembled minus calipers and rotors. Optional LSD units available: Kaaz 2way and tru trac. We also offer comprehensive differential rebuilds. All of our rebuilds get new bearings, seals, pinion nut, solid spacer, and any other parts we find need replacing. We also offer LSD rebuilds for all types of LSD units. Our rebuild procedures are second to none. In fact we have found many factory flaws with Toyota differential cases and have developed our own tooling to correct misaligned bearing bores and out of true companion flanges. This type of service you will not find at your typical rear end shop. We have a full machine shop in house to make repairs most shops could only wish to provide to their customers.